Top 6 Therapeutic Companies to Look out for Acute Renal Failure (Acute Kidney Injury) | Market Research Reports® Inc. According to Report forecasts, total incident population of Acute Kidney Injury in 7 major markets was estimated to be 1.5 Million in 2016. Acute kidney disease has consistently been associated with increased morbidity and mortality and multiple studies, as well as a recent meta-analysis, have demonstrated worse outcomes in the case of hospitalized patients. Acute renal failure (ARF) is characterized by azotemia that progresses over several hours or days, with or without oliguria. Acute kidney injury (AKI), formerly called acute renal failure (ARF), is commonly defined as an abrupt decline in renal function, clinically manifesting as a reversible acute increase in nitrogen waste products measured by blood urea nitrogen (BUN) and serum creatinine levels over the course of hours to weeks. The disease leads to abrupt loss of kidney function, leading to the retention of waste products, electrolyte disturbances, and volume status changes. ARF is further sub-classified into three stages: Stage-I, Stage- II and Stage- III. Out of the three main stages, Stage II ARF has the highest percentage of incidence. Based on DelveInsight’s analysis, approximately 36% of Acute Renal Failure patients suffered Stage II ARF, 35% suffered Stage III ARF and 28% suffered Stage I ARF in 2016. 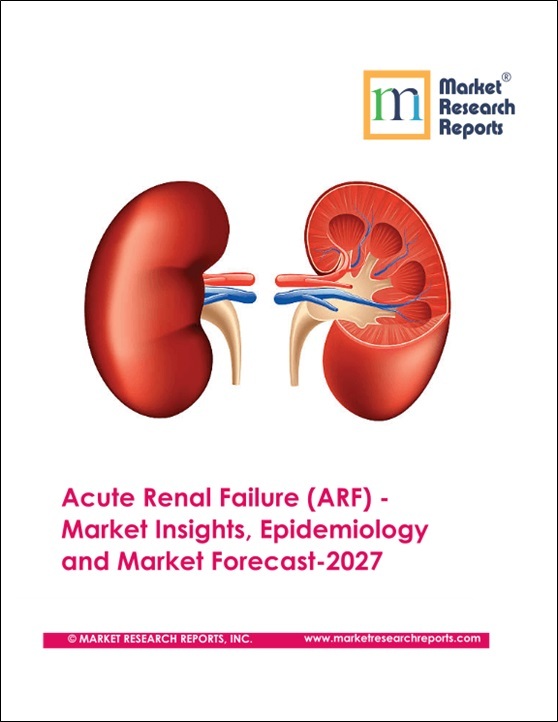 According to report’s assessment for the Market Size suggests that owing to the launch of upcoming therapies, an increase of the Global market size (7MM and Rest of the world) of Acute Renal Failure during the study period (2016-2027) can be observed. Also, as per DelveInsight’s estimation, the 7MM Market Size of Acute Renal Failure is expected to reach up to USD 8.7 billion in the year 2027. There is large windows of opportunity: to prevent AKI, to treat AKI after its onset, and to halt progression to ESRD. The pharmaceutical industry are investing on clinical trials conducted in the cardiovascular space, yet is little reluctant to enter the kidney market as the overall market is driven by monitoring system followed by transplantation with a very small therapeutic window. Some of the flaws in clinical trial design contributing to poor outcomes and potential strategies for designing clinical trials for AKI have been realized. 4. LG Life Sciences: Gemigliptin is a new member of this family of drugs, and studies have revealed certain advantages of gemigliptin use compared to its previous congeners. Besides, this drug has also been studied for the treatment of T2DM as monotherapy, in combination with metformin or other oral antidiabetic drugs and in T2DM with moderate-to-severe renal failure(Phase II/III Acute kidney injury).